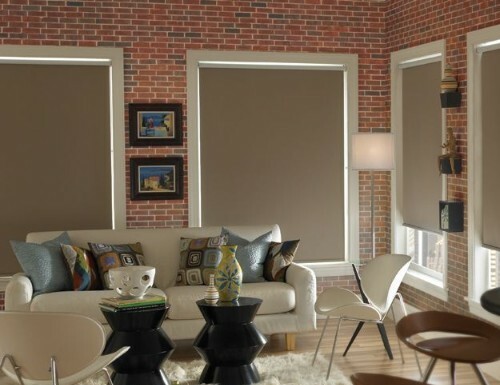 Made with blackout fabric, room darking roller shades are designed to block more light. 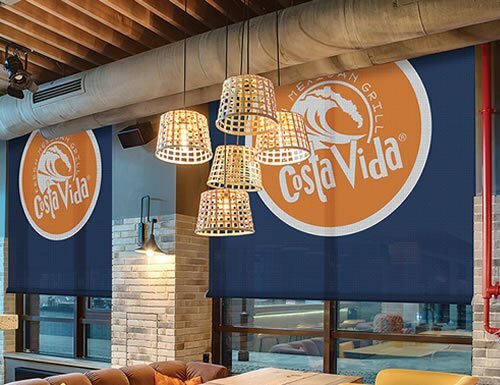 Fabric roller shades come in screen fabrics, light filtering fabric and blackout fabrics. 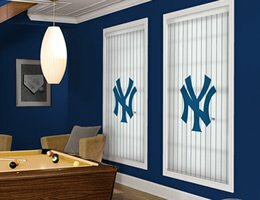 Choose from standard fabrics or try a custom logo shade such as your favorite MLB team or collegiate team roller shades. 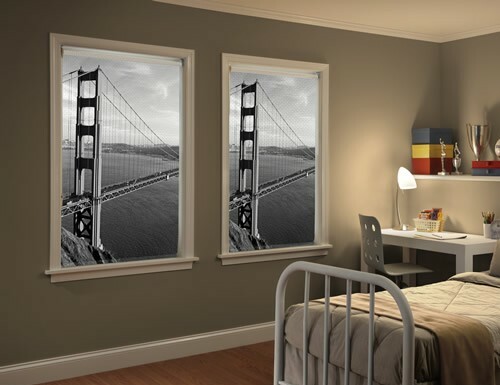 Blackout roller shades are great for bedrrom, offices, or anywhere you want to block the light. 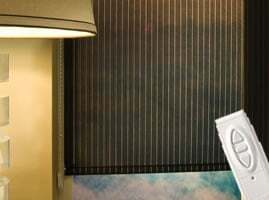 With free shipping and low prices Blinds Chalet is a great place to buy your blackout roller shades. With a cassette headrail or fascia valance upgrade, the roll as well as the brackets are hidden at the top of the roller shades. 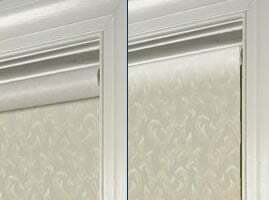 The cassette headrail offers a cleaner more finished look to the roller shades. Fascia valances are designed to hide the mounting brackets as well as the roll. Most of our fascia valances cassette headrail comes standard with matching fabric on the valance with the exception of the square aluminum fascia valance. 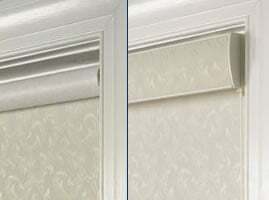 This valance is simply an "L" shaped aluminum extrusion which covers the bottom and front of the roller. The direction which the fabric rolls off the roller at the top of the shade. Standard roll is when the fabric rolls off the back side of the roller, showing the back of the fabric on the roller. Reverse roll is when the fabric comes off the front of the roller, hiding the roller and fabric. 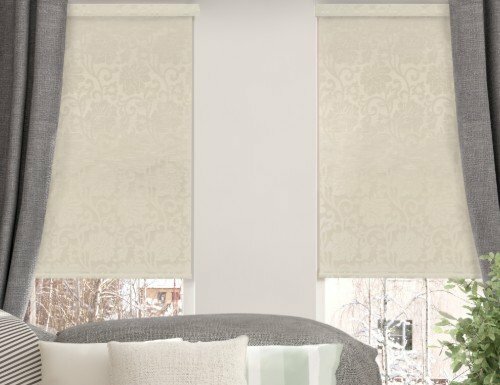 Although the reverse roll may be a cleaner more appealing look to the roller shades, because the fabric rolls off the front side of the roller shades there are privacy issues to consider. 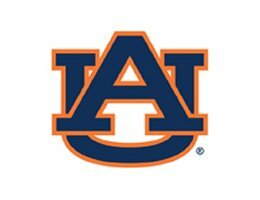 On a reverse roll, the fabric will be farther away from the wall on outside mount roller shades which allows less light and privacy along the edges of the shades than a standard roller shade. On inside mount, the fabric will be farther from the window pushing it towards the front of the window frame. This may only be a concern on shallow window frames. 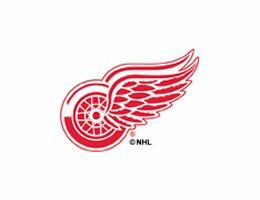 The taller the window and the thicker the fabric, the more this will be noticable. 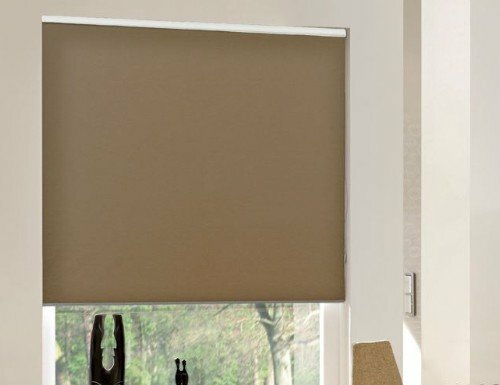 Motorized roller shades offer cordless roller shades that can be operated with the touch of a button. Each shade can be controlled with either a hand held remote control or a wall control. Single channel remotes raise and lower either a single shade or mutiple shades at the same time. Our 5 channel remotes can raise and lower up to five different shades or groups of shades by changing the channel on the remote to control other shades. For ease of installation we offer battery operated motors in our roller shades but also have wired lead motors available for contractor installations.